So… you were thumbing through Amazon the other day and found that several online companies offer vinyl vehicle wrap materials; so you begin to think: “I can just wrap the car myself… Why should I spend money to have a professional vinyl wrap installer put on a vehicle wrap!? !” Before you pull out your credit card, maybe you should get some info from the professionals at Precision Sign and Graphics serving the Riverside, CA. area. You are correct. Vinyl vehicle wrap materials is, by its basic definition, a really big sticker. However, this material has been specifically designed to be crafted when installed rather than just sticking it in place. Vehicle vinyl wrap is a very stretchy, air release material that can easily be misapplied and creased where the shape no longer follows the contour of material. Professional installers spend years perfecting their craft and can, at a touch, feel the pull of the wrap to help guide the material onto the contour the vehicle. Simply pulling and applying vinyl wrap material will leave you with a sticky situation. There are so many different types of vinyl wrap material online… which one is do I choose? You are correct. There are many different thicknesses, quality and applications for vinyl wrap materials. The correct one is determined by its use. You can always pick out the black matte vinyl wraps that did not choose their materials correctly as the car looks a blotchy dark gray after a few months of being exposed to the Riverside, CA. sun. These types of considerations are ones that a professional wrap installation company will question the customer on. Are there certifications for a professional vehicle wrap installer? Yes, there are multiple certifications that are available for the vehicle vinyl wrap industry. The certifications focus on experience, identify skill level and determine accountability for workmanship. Many of the top certifications, for example, require that applicants be able to prove a minimum of three years of installation experience before even allowing them to apply for certification. Part of the certification process includes a facility inspection, materials knowledge, in-process observation and technique, as well as, business accountability. These certification organizations are there to ensure that stability and accountability in the vehicle vinyl wrap industry is consistent and verifiable. If I want to add a design, that’s just a second sticker added…right? Nope. Professional level graphic design and printing of vinyl wrap is what sets a professional level vinyl wrap company apart from just a sign company. It takes the additional skill of graphic designer who must have knowledge to use their graphic design software to craft graphics with the use of vehicle templates, color translations, vehicle shapes, vehicle contours, differences in surface materials and licensing to take a two-dimensional graphic design layout to a three-dimensional application. This level of experience takes hundreds of hours to perfect making a vehicle wrap graphic designer one of the more sought after positions by sign company owners in the nation. Once the professional level graphic designer has created the graphics they will need to be printed on a special flatbed printing system, in specific order, for the installers to be able to properly apply the vehicle vinyl wrap. The result is a seamless, attention grabbing, graphically design vehicle wrap that is sure to get people’s attention. Do I need more than just a knife and a squeegee to put on vinyl wrap? Yes. Professional vinyl wrap companies spend thousands of dollars in proper materials and tools to perfect the craft of installing vinyl wrap. These tools include specialty knives, large layout tables, lighting stands, tape and roll dispensers, heat guns, application wedges and more. A professional vehicle wrap installer has dedicated a good portion of their life becoming trained and certified for their craft. This includes the cost of schooling, practice and materials as well as tools of the trade. While you may feel that you can install your own vehicle wrap, and maybe you can, don’t short a man for his hire. Professional level vehicle wraps are priced based upon competition, materials, complexity of design and application and the level of expertise necessary to ensure that accountability and workmanship will allow the vehicle wrap to last for many years to come. 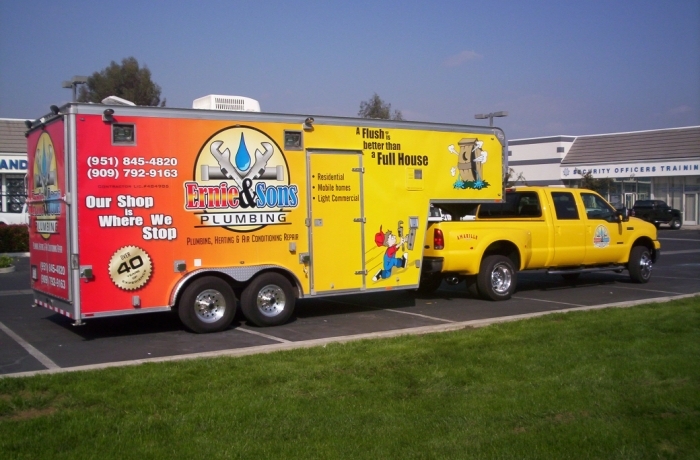 When it comes to experience, trust the professionals at Precision Sign and Graphics serving the Riverside, CA. area. The proof is in the product with our many satisfied vehicle wrap customers happy to show off our workmanship. 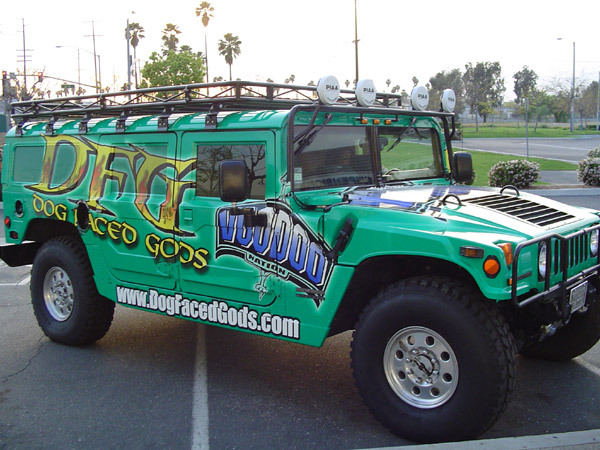 From the first phone call, you will know that you contacted a professional vinyl wrap company; asking all the right questions to provide you with the perfect vehicle vinyl wrap that will help brand your business in the Riverside, CA. area. Be sure to trust the experts when choosing the right company for your vehicle or vehicle fleet wraps.